T.O.M. 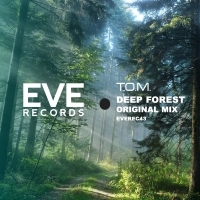 return to EVE with a stylish and solid tech house groove - Deep Forest. A warm sub bass drives the track throughout together with hypnotic melodic runs that pepper the tune throughout. Perfect for Eve in everyway - T.O.M. certainly know their stuff!! 'Deep Forest' is available now from Beatport and iTunes.